When you authentically look at your spiritual journey, where are you right now? How will you authentically stay connected with God and others? Receive It and Live It. 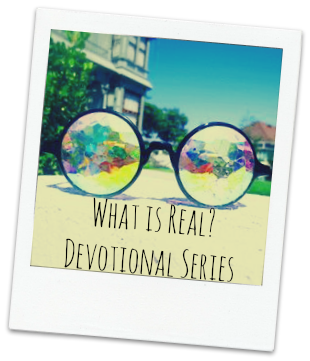 In order to continue to grow in authentic devotion with God, you need to be intentional. Without intention, time will pass, and you’ll someday wonder where all the time went. Opportunities to grow pass as time passes. Make a plan today. Be flexible as God leads, but step out with discipline. Schedule regular checkups. Just as you have an annual appointment with the doctor or semi-annual appointment with your dentist, you need to schedule spiritual checkups. Get out your appointment book or calendar and mark it in pen. Take it seriously. I recommend setting monthly checkups for the first three months. Don’t wait until you’re in a crisis to get a checkup. This is preventative spiritual healthcare, and the only cost to you is time. Since it’s God’s time anyway, I think He’d agree it’s well worth the sacrifice. Take notes along the way. As the Holy Spirit leads, watch for opportunities to accept the challenge and grow. Jot notes in your appointment book for later references, or carry a small notebook with you. Occasionally read through your notes as a reminder of God’s presence and provision in your life. Watch for words and concepts the Holy Spirit is highlighting for you as you study God’s Word, listen to messages, attend worship services, and so on. Write them in your appointment book or notebook. Write the full verse that speaks to you, not just the reference. It’s too easy to get lazy and glance at a verse reference but not take the time to look it up later to discover why it was significant to you. Claim God’s Word by writing it with your pen and on your heart. May God continue to bless and challenge you to live life boldly for Him! With what do you struggle to fully accept about God’s perspective, promise, or truth? What is the next step you want to take in yielding your perspective to God’s? Receive It. A protagonist is the leading character of a story. I’m the protagonist of my life. Or am I? It’s a logical assumption for me. It’s my life. I see how I affect others and how they affect me. From my perspective, it seems I’m the main character. I’m not self-centered or inflated because of it. I don’t believe the world revolves around me. I’m just saying it seems as if I’m the protagonist in my story. But when I was studying the book of Jonah, my assumption was challenged. The entire book of the Bible is named after Jonah, and it’s about His journey, but it’s not all about Him. In Jonah’s disobedience, God strategically used His life to draw others close. Jonah’s disobedience had a significant impact on the captain and sailors of the ship on which Jonah was trying to escape God’s plan. Jonah’s story isn’t about Jonah. It’s about God. My story isn’t about me. It’s about God. God is the protagonist of your story. You might think your story is insignificant, confusing, painful, beautiful, inspiring, tragic, or dysfunctional. What about when you realize your story is God’s story? Does it change the way you see it? God is invested in your life. He created you with purpose. That doesn’t mean your life will go smoothly. It doesn’t mean it will be easy. God gives us choices. He weaves our responses throughout the storyline, entwining our lives with others throughout every phase of our lives. We think we’re the source of the ripples radiating from our lives when it’s actually God. The only authentic perspective is God’s perspective. Let His perspective invade yours today. Live It. Peppermint is an invasive smell. It’s easily absorbed by substances around it. Keep peppermint with you all day: mints, gum, a candle. As peppermint surrounds you, be reminded to let God’s perspective invade and overwhelm yours. When has your schedule been interrupted in a beneficial way? When has your schedule been interrupted in an annoying way? Do you usually tend to enjoy the moment in which you are, look forward to future moments, or reflect on past moments? Receive It. In order to fully grow in the scope of God’s purpose, we must embrace what He has planned for us moment by moment. God doesn’t change, and His will doesn’t change, but the specifics of our lives change. Faith requires constant and ongoing obedience. We can’t assume God will ask us to do what makes sense. Of course, every instruction He gives us will be consistent with His will, but it won’t always be consistent with our personal experiences or preferences. After Jesus was baptized, He was sent into the desert and tempted by Satan for 40 days. Are peaks and valleys always so close? Sometimes. Other times, the transitions between highs and lows are so gradual we might move from a valley to a mountaintop or vice versa with little notice. What’s consistent isn’t where we find ourselves but that we find and trust God no matter where we are. He knows what we need to prepare for “here” and how our now equips us for “next.” We can’t predict where we’ll be and why, but we can be certain we’ll be required to seek, listen to, and respond in obedience to God is every moment of our lives. When we live in and fully embrace the moments God has for us, we can receive the blessings He purposes for us – through our highs and lows. Live It. Place a couple dozen coins in your pocket in the morning. Each time you experience God’s presence through your day, move one coin to another pocket. See how many coins you have in the second pocket by the end of the day. You can also take the same approach with paper clips on your appointment book or by using a basic text note on your phone. In what areas do you feel inadequate in your prayer life? What benefits have you experienced through your prayer life? What is the difference between an authentic and inauthentic prayer life? Receive It. The key to knowing anyone, including God, is a relationship. Because relationships grow through communication, an authentic prayer life is essential to a growing relationship with God. Prayer life is an area in which most people feel as if they fall short. Not being satisfied with our prayer lives can spur us in two directions: We can feel hopeless and retreat from God in defeat (not the preferred response), or we can use the discontentedness to motivate us to seek God, learning more about prayer through trial and experience (definitely the preferred response). Building an authentic prayer life isn’t easy, but these tips can help you get started. Keep it honest. God knows what’s going on in your heart and mind. He doesn’t need your information; He wants your trust. Share more of your life with God than anyone else in your life. Keep it private. Praying with others is important, but God also instructs us to pray in secret (Matthew 6:6). Foster a vibrant prayer life between just you and God. The more intimate you are with God, the more time you spend talking to God, the more you’ll listen to His voice. How do you struggle with your diet? How do you struggle with your body image? How fully do you accept how God created you and live by His intentions for you? Receive It. Our diet issues are usually about our body issues as well as actual diet. We want to look and feel good. When I was on the beach a couple years ago, I looked around and noticed a lot of overexposure. I prefer modesty. However, my modesty isn’t just about guarding my own body and reducing temptations for myself and others. Truth be told, I don’t have the confidence to walk around nearly naked even if I didn’t have a standard for modesty. But God created me, and I’m unique. My body image should be a reflection of God’s image of my body, the one He created just for me. We need to accept the connection between body image and diet, which means we can’t become too consumed with either. The two have something important in common: what we put inside vastly impacts the result. With our body image, if we keep God’s perspective, we focus on the beauty of His image more than our discontent, distorted image. With our diet, what we feast upon directly affects our bodies. And our diets aren’t just physical. Consider your spiritual diet. When our spiritual diet is well-balanced, it nourishes every aspect of our lives. Our spiritual diet impacts our energy, attitude, faith, and perspective. If we feast on junk, we become malnourished. If we choose a balanced, nourishing spiritual diet, we’re prepared for God’s plans for the day. We have just what we need. God will always guide and provide. He provides everything we need for our daily bread, but He expects us to get involved and do some baking. Live It. Eat some kind of bread or pastry today. You choose. Bake your own, pull something convenient from the pantry, or pick up a treat from a local bakery. As you enjoy your treat, consider how your choice in how much you decided to invest in your feast is similar to making similar choices in your spiritual diet and growth. What distracts you from being receptive to God? With what do you most struggle to fully receive from God? How do you struggle with receiving from others? Receive It. Many people struggle with receiving from others. When we refuse to receive from others, we are robbing them of the joy of giving. That fact might help us receive a bit more graciously and more often, but we need to grow our roots more deeply. When we base what we’re giving and receiving on ourselves, our perspective isn’t authentic or realistic. Authenticity always centers on God and His will and way. When we consider how we receive from others, we need to look at how we receive from God. We must be receptive to God through His Word. Receiving God’s Word involves knowing, accepting, and applying God’s Word. In order to know God’s Word, we have to become familiar with it. We have to listen to teachers whose words are biblically based. We have to read and let it steep in us. We have to study and dig into it, getting our hands messy at times and always finding treasures. God reveals Himself to us through His Word. We also must accept God’s Word. We need to be receptive when we approach God’s Word. God can work with us when we’re antagonistic, but the growth process will be much more beneficial and growth-producing when we anticipate God’s presence, conviction, and revelation. Finally, we need to apply God’s Word. God doesn’t want us to be filled with head knowledge. He wants to seep into and consume our hearts with His presence. When we’re receptive to God’s Word, we’re receptive to His will and way. When we’re receptive to God’s will and way, we can’t help but live a life of His purpose. He will guide us in giving to and receiving from others. Live It. Dig into God’s Word today. Step outside your routine and journal, speak, question, research – whatever you need to do to hear God’s Word in a fresh way.